Music Box has retained Gaslamp District Media, an integrated marketing, events and promotional agency, to manage its venue marketing and events initiatives. Gaslamp District Media is partnering with Music Box in time to assist with efforts for West Coast Oktoberfest, taking place on Saturday, Oct. 6 and Sunday, Oct. 7. Hosted in collaboration with local non-profit Downtown San Diego Partnership, West Coast Oktoberfest will take more than 55,000 square feet in Little Italy on India Street between Ash and A Streets. Inspired by the traditional German celebration, the block party will showcase live music, Bavarian pretzels, bratwursts, themed contest and beer, among other entertainment. Guests who purchase VIP admission will have access to Music Box’s indoor amenities, including a full bar, comfortable seating, outdoor terrace overlooking the event and UFC 229: Khabib vs. McGregor viewing party. More information and ticket purchases are available online at www.westcoastoktoberfest.com. Gaslamp District Media represents some of San Diego’s hotels, restaurants and bars, including Hard Rock Hotel San Diego, Parq Restaurant & Nightclub, RMD Group, Sidebar and GBOD Hospitality Group’s concepts: Mezé Greek Fusion, El Chingon, Havana 1920, Mezé at Liberty Station, Prohibition Liquor Bar and Monkey King. 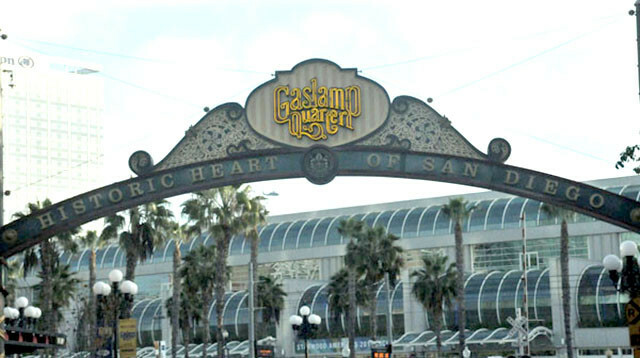 More information about Gaslamp District Media is available on its website at www.gaslampdistrictmedia.com.